The struggle to find competent and compassionate care during one of life’s most difficult transitions can be overwhelming. At Value Care our aim is to take the worry away and give you and your family peace of mind by finding you the compassionate care you deserve. 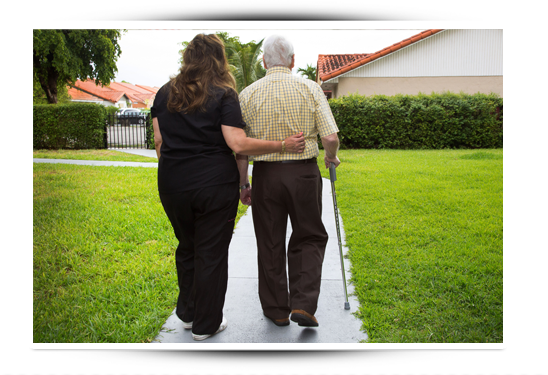 We refer caregivers in South Florida to people in need of care services. We are locally owned and operated and have been offering our services since 2007. We believe each of our clients deserves More Help with Less Worry, so we take the legwork out of finding compassionate and competent home health care based on your needs. We thoroughly screen each caregiver in South Florida who applies to register with us so we can refer them confidently to our clients. Contact Us for your care needs Today. Whether you need around the clock care, part time companionship, or elderly services in South Florida, we can refer caregivers who fit your needs. We make sure our caregivers are the best in the industry by implementing our FIVE STAR PROMISE. We also make sure you connect with the right caregiver through our Care Match Program. The caregivers we refer are willing to travel within South Florida. They will come to you wherever you are; in your own home, a hospital, or any other facility. Value Care is built on the foundation of providing quality care referrals with honesty and great savings. Clients who choose to use our services can save 25% or more off average industry prices on home health care. Loses their spouse of many years. Stops driving, or loses a person who used to drive them places. Was a healthy person but has recently suffered a set-back. Cares for their spouse, and may just need a break. Has weight loss, or diminished appetite. Exhibits a decline in hygiene. Is depressed, or fears being alone. Expresses dissatisfaction with existing caregivers.